I joined Instagram 4 years ago but it was only recently that I uncovered a dirty secret about the social media app that I believe is the key to my follower growth: reposting. In April 2015, I detached my personal profile from my blog-turned-interior styling business Blueprint Africa to more purposefully albeit organically grow my brand’s following. When I started on this path, not wanting to ‘pay to play’, I applied multiple social media tips from dozens of blogs. Some worked, but many didn’t. Was there something beyond hashtags, filters and posting frequency that I was missing? I looked to the Africa-based feeds with high engagement I personally followed for answers. I noticed that many did not include calls to action or run contests as was advised by the digitally savant. Reposting was central to these feeds’ success. I could (should?) have waited until I accumulated 400K followers to share with you what I have gleaned about Instagram over the past year but I decided I would prefer that we grow together. I have a little over 2,400 followers now BUT that is more than double what I had a year ago. 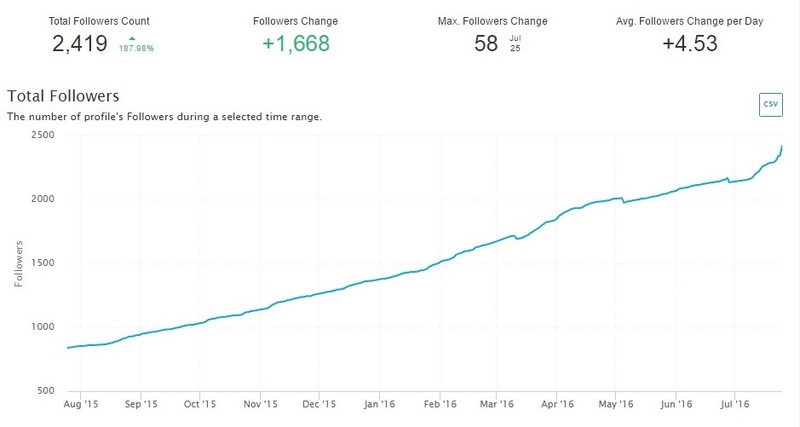 Over 900 of my new followers were acquired in the last six months. Better yet, my engagement is on par with Victoria Secret with its 30 million followers at 5.1% and I have several posts with over 200 likes. 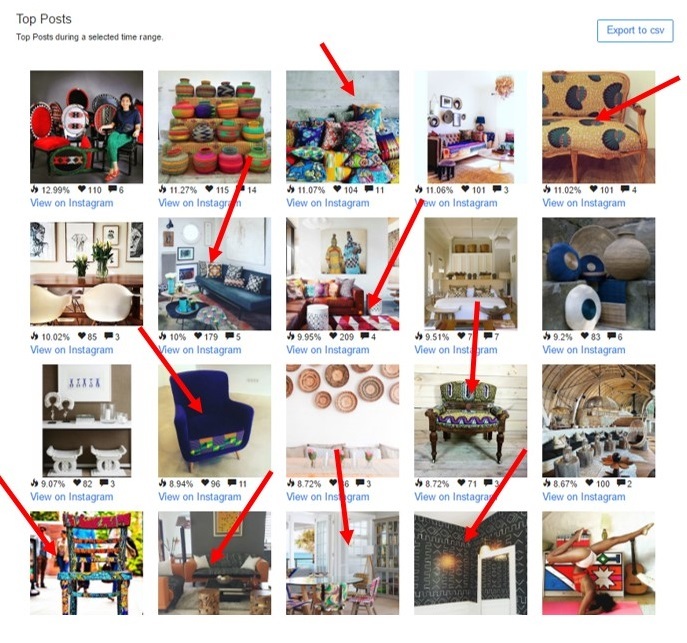 On Pinterest – the previous social media app I consciously grew – I have 6,800 followers. For these reasons, I feel comfortable sharing my experience so far. Snapshot of Blueprint Africa’s metrics from July 25, 2015 to July 25, 2016. I also saw this in popular theme-inspired African instafeeds. Growth in following was not determined by the color scheme or the grid being pretty. Many were successful because they served as a one-stop shop for specific types of content. 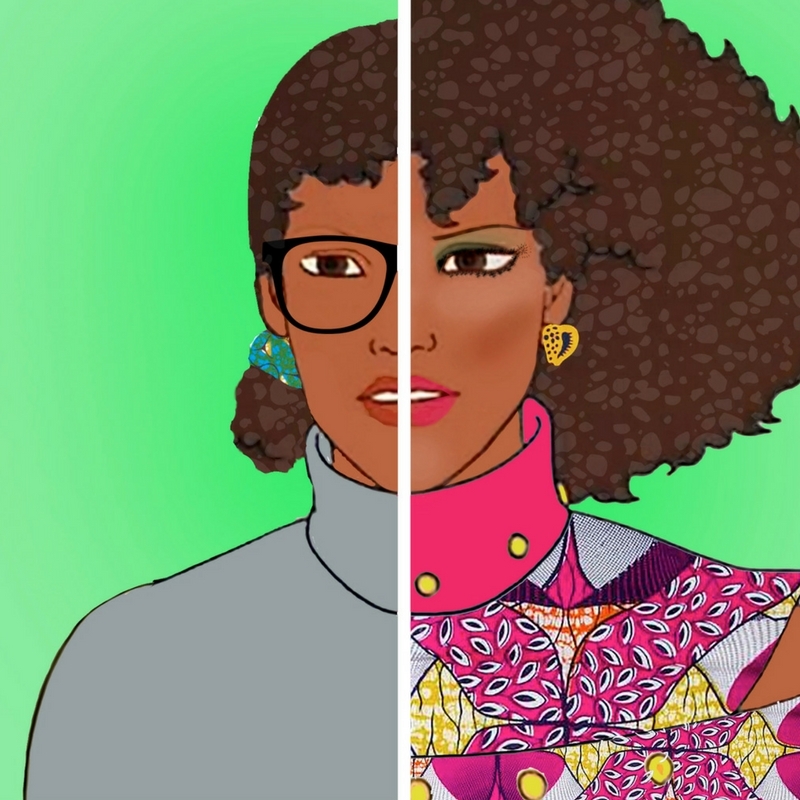 Topics as diverse as selfies (@AfricanGirlsKillingIt – 509K) to contemporary art (@ArtNewsAfrica – 88.4K). These inspiration pages use secondary to grow. So while original photography is important generally, it is not necessarily important to Instagram’s new algorithm which rewards interaction. Even Instagram’s Instagram is an amalgamation of secondary content. Blueprint Africa’s Instagram adopts the same approach. Although the company provides sourcing, set design and interior decoration services and promotes our work on our feed, the firm was born from a blog that at its core was and remains a PR company. Blueprint Africa wants to inspire and raise awareness of African interior designers and modern homeware brands that are reshaping how we live. So now that we know Instagram’s dirty little secret, we can expand our self-love to others (the world needs more of that right now). My friend Tasha recently reminded me that “benevolence can sometimes be characterized as an act of self-preservation”. So become another business’ cheerleader – and hopefully capture their followers! Given the recommended frequency of posting to grow your Instagram followers (2-3 times a day), secondary content makes this task easier. Reposting someone’s content gets you instant discovery points. People appreciate the exposure you bring to them. By default, they will check out your page in return (as long as you tag them properly, which is a must). Very often reposting leads to some kind of engagement as well (a ‘thank you’ for instance). Reposting pulls in engagement from people who would otherwise never discover your page. This narrows the universe within which you can flip commenters or likers to followers. You do not need to invest in a DSLR (or supped up smart phone) right away – which is critical for a continent like Africa where this can represent a huge business expense. Tip: Reposting content allows you to engage with people who may not necessarily follow you. My page’s engagement is about 50-50 followers to non-followers. Use your ‘likes’ tab as a placeholder. Doing this forces me to stick to my ‘tribe’ and not get sidetracked liking things I cannot repost to my own page. However, I still interact with others by commenting on an image which offers me the same benefit of discovery as liking a post. Use other apps that centralize content for you. I love BlogLovin. It allows me to easily run through dozens of design blog posts to identify relevant images quickly to save directly to my phone while I read. What kind of images should you repost you ask? Whenever I can, I follow my 3Fs Rule: fashion, fame and face. 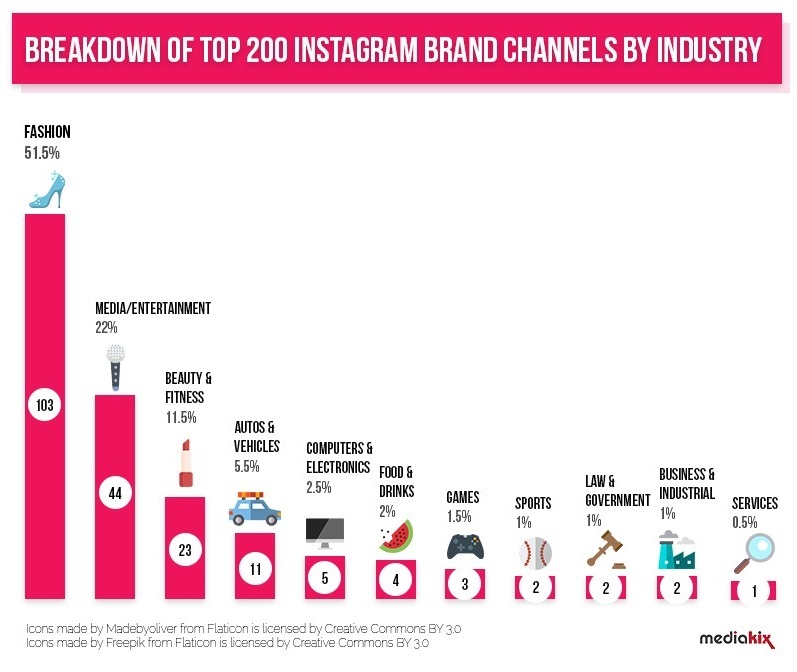 These topics get the most engagement on Instagram – period. 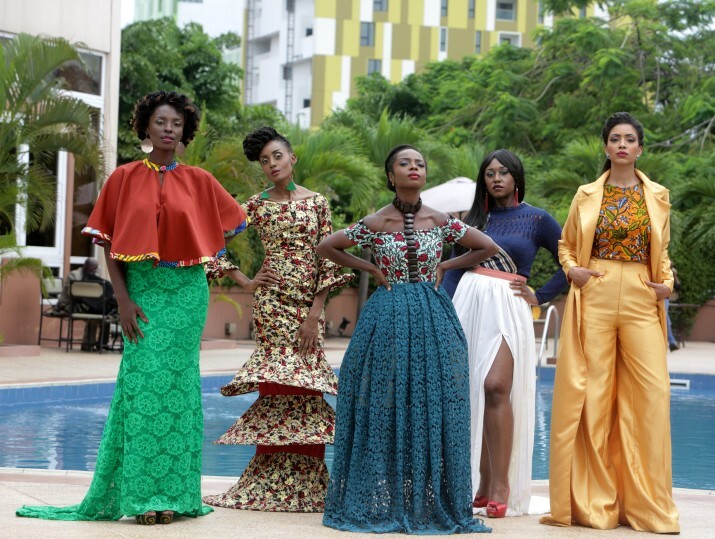 Within the realm of African fashion for example, Stylist Afua Rida of Ghana got over 40K followers less a year after launching her Instagram page. Fashion PR consultant Diana Opoti of Kenya currently has 42K – more than many of the brands she is representing. Tip: Finding a common thread between my content and one of the 3Fs increased my followers. 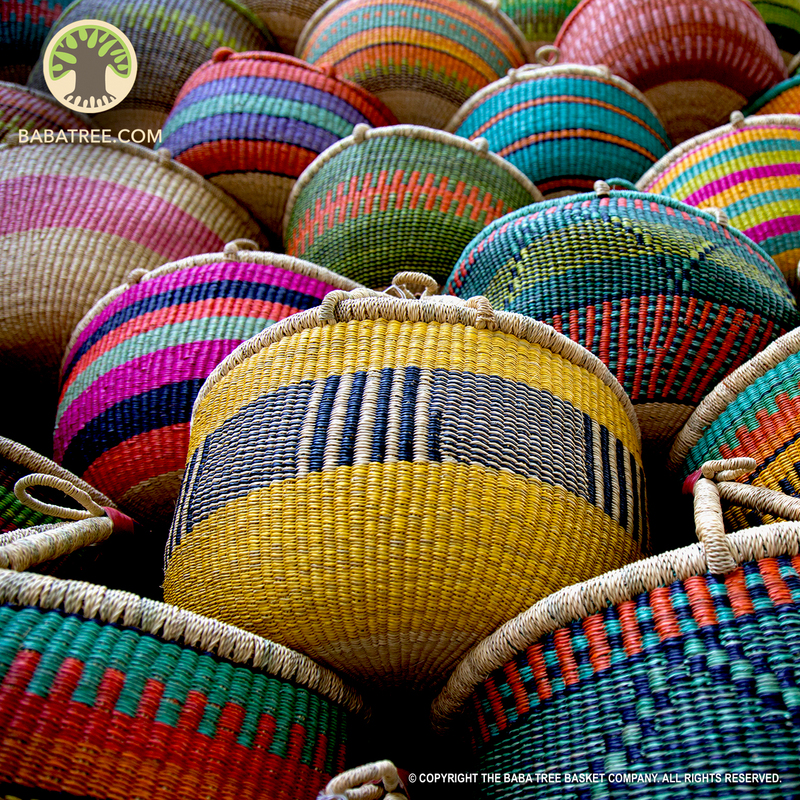 Blueprint Africa rides the textiles wave – all of our posts featuring African prints have engagement ratios over 8%. To repost, I use Regrann because it allows you to edit the caption, and doesn’t put a watermark on the photo allowing your grid to still look seamless. To know what type of content to source and particularly the best time to post I use www.minter.io. All the Blueprint Africa infographics in this post are from that app! For scheduling, I use Hopper because it allows me to both schedule content from my phone (secondary) and from my computer (DSLR originals). Even if you do not use apps or cannot afford such an expense, follow their blogs! The bloggers of social media apps are always two steps ahead since they have access to all their users’ analytics. I follow the Hootsuite and Later blogs (even though the latter is not available for use in Abidjan where I live) for tips on how to build my Instagram following. For example, I was able to cross over into the 100 likes per post club due to this Later.com post. I also sometimes take advantage of an app’s free trial (why not!). Hopper lets prospective clients use their platform for free for up to 2 weeks. You can schedule content for months in advance during that period! So use trial runs of interesting apps on occasion to reboot your ‘gram. For instance, once you know the best time to post, do you really need to pay for a month to have access to the same information daily? Probably not. You can use that initial information until your growth rate slows down… and then pay for the refresh once you have saved up. I have not figured it all out yet but I believe Instagram wants us to stay original but also encourage interaction through reposting. Blueprint Africa’s offering is highly niched but I am confident that our followers will continue to grow at a steady organic pace if I follow these principles. Be sure to join us on our growth journey by following us on Instagram! I can’t wait to check back next year to see how we did. Cheers to conquering Instagram – together! Just a reminder that all figures here were pulled on July 25, 2016 and may be completely obsolete by the time you are reading this. Also I am not a social media strategist so heed to these tips at your own risk (but if it works, feel free to credit me lol). 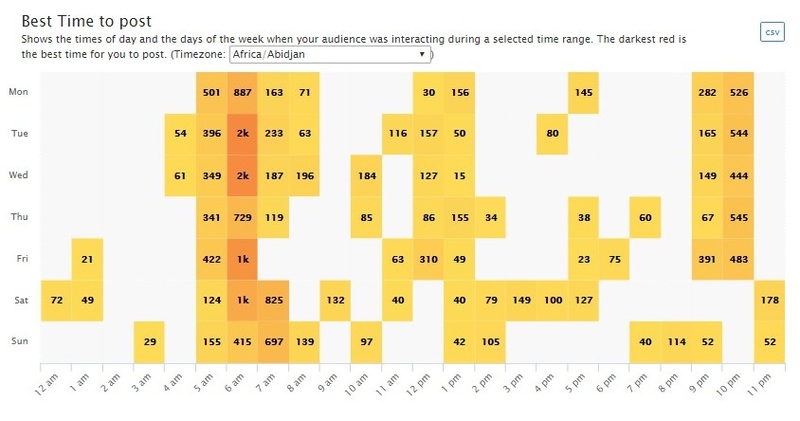 Are you an African business on Instagram? Has reposting content grown your followers and improved your engagement?